FAI President Donal Conway refused to commit to an independent outside forensic audit of the FAI accounts under questioning from Oireachtas Committee on Transport, Tourism and Sport Chairman, Fergus O’Dowd. ”The fact people on your board didn’t know about this loan is the ethical issue. This is at the core of the problem. Would you do an independent outside forensic audit?” O’Dowd asked. The below exchange then took place as Mr Conway referred back to the investigations currently underway by Mazars and Grant Thornton, both of which it was earlier confirmed are being paid for by the FAI. Fergus O’Dowd: Would you do an independent outside forensic audit? Donal Conway: We’re doing a very wide-ranging independent investigation when Mazars come on board. FO’D: A forensic audit is the question. .
DC: Between the Grant Thornton and the Mazars investigations…they will be very thorough examinations of the FAI. FOD: A forensic audit as I understand it is a particular type of audit. I’m not being rude but I’ll ask you for a third time, would you do it? FO’D: I think you have your answer there. Mr O’Dowd then stated that he believes that the association really need to “think about regime change”. Mr Conway has been fielding the majority of questions after former CEO John Delaney issued a statement this morning saying he would be unable to answer questions from the Oireachtas Committee on Transport, Tourism and Sport regarding the €100,000 bridging loan he provided to the FAI in April 2017, citing legal advice. The hearing, which began just after 10am, was adjourned on three occasions in the morning session. The first of these occurred when FAI President Donal Conway introduced a prepared explanation of the reasons for the loan which hadn’t been shared with the Oireachtas committee in advance. A second adjournment followed when Mr Delaney, currently an Executive Vice President with the association, attempted to read his statement, which again, had not been shared with the committee. Committee chair, Fergus O’Dowd, requested that copies be provided to the committee before the statement could be read into the record. 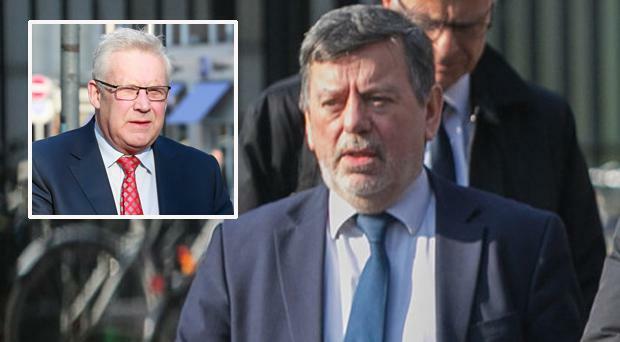 When the statement was shared, it said that, on legal advice, Mr Delaney was “precluded from making any further comments at this hearing in relation to the finances of the Association or my former role as CEO or the €100,000 payment either directly or indirectly”. His statement continued: “Given that some members of the committee have made highly prejudicial public pronouncements about me personally prior to my attendance here and in light of the recent Supreme Court ruling in the Kerins case, I would ask that the committee respects this position. “I am happy to answer any other questions in relation to my role as Executive Vice President responsible for UEFA and FIFA matters.